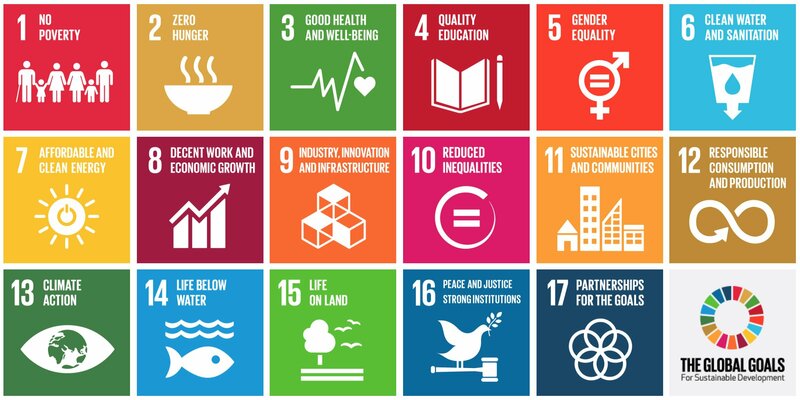 In late September, global leaders convened for the United Nation’s General Assembly in NYC and adopted the Sustainable Development Goals (SDGs), a set of 17 goals aimed at solving the world’s social and environmental challenges. The SDGs extend the 8 Millennium Development Goals, launched in 2000 to dramatically reduce poverty and improve public health by 2015. While all 17 goals have a connection to the environment, specifically SDG #13 “Climate Action” and SDG #15 “Life on Land” are particularly relevant to Code REDD and our Stand for Trees platform. In 2000, when the MDGs were introduced I was a fashion model, and I remember thinking how insane it was that there were two billion hungry people in the world when there were so many women in wealthy countries actually choosing to starve themselves to attain an idealized, hyper-thin figure. Two years later I started my university education which ultimately led me to pursue a Master’s degree in International Development where I learned how intimately connected poverty, the environment, and climate change policy are. I first heard about Reducing Emissions from Deforestation and Forest Degradation, or REDD+, in between my first and second year of grad school. Yes, it’s the worst acronym ever, but it was super exciting to me! In many forest communities, nature is an integral part of their physical and spiritual lives, and they are driven to destroy it only by necessity, or they have no choice because logging, ranching, or other extractive activities offer a far greater financial reward. REDD+ proposes to pay them fairly to monitor and manage their land sustainably in exchange for the climate benefits we all get from healthy forests; it is an inclusive and systematic approach to reducing global poverty that challenges the traditional charity/donor model. I’ve been an advocate ever since. I was highly skeptical of the MDGs at first – mostly because they failed to recognize the intimate link between natural resource management and poverty, between habitats and human well-being. But I was also cautious about any effort to package development into tidy lists. Development is a messy and complicated business. But the fact is the MDGs turned out to be an incredibly effective marketing and messaging tool. Aggregating challenges into a master list of quantifiably verifiable goals actually narrowed the world’s focus and gave outsiders a clear pathway into the daunting task of ending poverty. SDG 13 Climate Action: Implement global leader’s commitment to mobilize jointly $100 billion annually by 2020 from all sources to address the needs of developing countries. Stand for Trees mobilizes the passion and willingness to take action of citizens to financially support local and indigenous communities in developing countries who are committed to keeping forests standing. Code REDD and Stand for Trees promote forest conservation as a means of climate action. Stand for Trees projects protect over 18,000 square miles of the most spectacular forest landscapes on earth while creating forest monitoring and management jobs that incentivize and fund sustainable land use. Code REDD and Stand for Trees applaud the efforts of global leaders to achieve the Sustainable Development Goals, and we look forward to continuing to help achieve them. By supporting projects on the Stand for Trees platform you, too, are a part of the solution. Join our Dear Global Leaders campaign: For every Stand for Trees certificate you buy you will have the option to send a message to global leaders to make forest conservation a priority during the climate change negotiations in Paris this December. Let them know they should care – because you do. This article was written by Kate Dillon Levin in support of Stand for Trees. Kate is known in the fashion industry as a ground-breaker and a passionate advocate for environmental and humanitarian causes. For 20 years, she has leveraged her career in fashion to campaign for positive body image in the media, eating disorders awareness, global poverty reduction, and environmental sustainability. Her work has been widely featured in the media, including on CNN, Good Morning America, and the PBS NOVA series as well as in Vogue, Glamour, and People magazines. In order to be a more effective advocate, Kate completed a Master’s in Public Administration in International Development at the Harvard Kennedy School in 2009.